An attorney for Trump confidant Roger Stone appeared before Special Counsel Robert Mueller’s grand jury on Friday, the lawyer told The Daily Caller News Foundation. Tyler Nixon’s encounter with the FBI and Mueller’s team happened in just a matter of weeks, an indication he said suggests that the probe may be wrapping up. 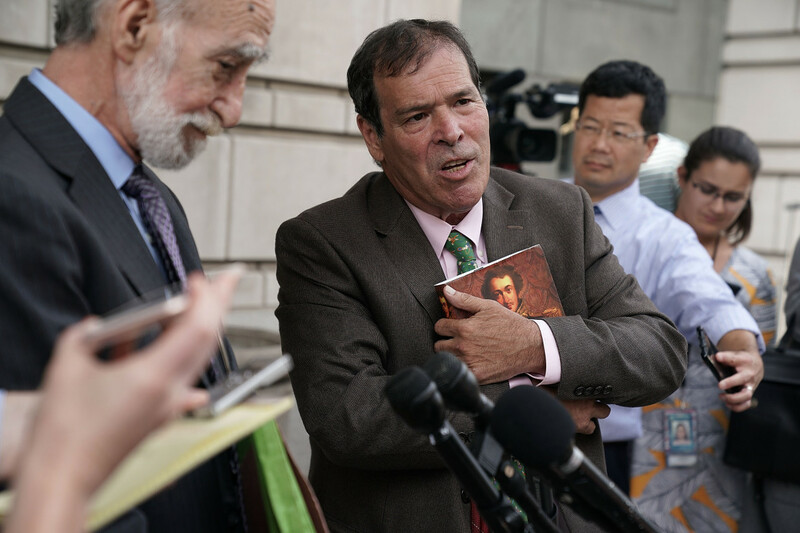 Nixon said he was present during a conversation that Stone had in November 2017 with Randy Credico, the comedian who Stone claims was his backchannel to Julian Assange. Credico has denied being Stone’s link to the WikiLeaks founder. An attorney for Roger Stone testified on Friday before the grand jury being used in Special Counsel Robert Mueller’s investigation of Russian interference in the 2016 election, the lawyer told The Daily Caller News Foundation. FBI agents contacted the Trump confidant’s attorney, Tyler Nixon, for the first time less than two weeks earlier, seeking an interview about his comments in an Oct. 21 Washington Post article. Nixon was cited in that story saying that he could provide information to Mueller’s grand jury that would back up Stone’s claim that he learned about WikiLeaks’ plans to release information on the Clinton campaign through Randy Credico, a left-wing comedian and radio host. Stone, 66, told the House Intelligence Committee that Credico was his WikiLeaks contact. Credico has touted his links to Julian Assange and has interviewed the WikiLeaks founder on his radio show, but has denied being Stone’s conduit to WikiLeaks. He told CNN that he testified the same to Mueller’s grand jury on Sept. 7. But in addition to Nixon, another Stone associate, filmmaker David Lugo, told The Post that he had evidence showing that Credico acknowledged being Stone’s backchannel. Nixon said that two FBI agents showed up at his apartment in Denver just after the Post article appeared. The lawyer, who recently advised Stone on a defamation case, was in Las Vegas at the time and offered to meet with the agents after returning home. But the agents insisted on a prompt interview, and hopped a plane to Las Vegas on Friday, Oct. 26. A week later, Nixon was sitting in front of Mueller’s grand jury to testify about a conversation he witnessed at a dinner at the Harlem Tavern between Stone and Credico in mid-November 2017. On Oct. 13, 2017, a month before the dinner, Stone had informed the House Intelligence Committee that Credico was his link to WikiLeaks. Nixon said he mostly observed the conversation between Credico and Stone, who have known each other for more than 20 years and have had a tumultuous relationship. Nixon said he recalled to the grand jury that Credico was upset that he would be revealed as Stone’s source, partially out of fear of upsetting his liberal friends. “I can’t admit this. I can’t say this,” Nixon recalled Credico saying. Credico was revealed to be Stone’s alleged source in a CNN article published two weeks after the dinner, on Nov. 30. Nixon said Credico suggested he would invoke his Fifth Amendment rights should he be contacted by investigators. When Credico invoked the privilege to avoid appearing before the House Intelligence Committee a month later, on Dec. 13, 2017, Nixon said he was unsurprised. Nixon, who has appeared alongside Stone on the political operative’s InfoWars show, interpreted his wham-bam encounter with federal investigators as evidence that Mueller is rapidly nearing the end of his collusion investigation, or at least the portion that deals with Stone. “Things are wrapping up and they wanted to get me in there and get things on the record,” Nixon said during a phone interview with TheDCNF. Mueller’s team has been interested in Stone since the beginning of this year. Witnesses interviewed in the probe have said that prosecutors have focused on finding out what Stone and Credico knew about WikiLeaks’ plans to release emails hacked from Democrats, particularly those of Clinton campaign chairman John Podesta. Another Stone associate, independent journalist Jerome Corsi, also reportedly testified before the Mueller grand jury on Friday. Corsi was in contact with Stone during the campaign. Stone has claimed that information Corsi provided him was what prompted a now-infamous tweet that Stone sent on Aug. 21, 2016. “Trust me, it will soon [sic] the Podesta’s time in the barrel,” Stone wrote. John Podesta and other Stone critics have suggested the tweet indicated that Stone had advance knowledge of the Oct. 7, 2016, release of Podesta’s emails through WikiLeaks. Stone said he was referring to something that Corsi had told him about John Podesta and the lobbying activities of his brother, Tony Podesta. Corsi has declined to comment about his interactions with the Mueller team, but he said on his web show on Monday that he has been in contact with investigators on a “really constant basis” for the past two months. Corsi, who said he remains a “very, very strong supporter of Donald Trump,” said that he is continuing his interactions with the Mueller team. “It’s going to be a while,” he added. Mueller is also reportedly investigating whether Stone attempted to intimidate or harass Credico. CNN reported Friday that investigators are reviewing text messages and emails between Stone and Credico for evidence of possible witness tampering or obstruction of justice. Nixon told TheDCNF that he was asked whether Stone attempted to intimidate Credico. But the Stone associate said he did not witness anything of the sort during the dinner in Harlem. “You just have to tell the truth, Randy. Don’t lie about it,” Nixon recalls Stone saying at the dinner. He also said Stone did not pressure him to speak to the media or testify before the grand jury. While Stone has said in interviews that he expects to be indicted by Mueller, Nixon said he sees no grounds to indict Stone.